With the growing adoption of the Internet of Things (IoT), connected devices have penetrated every aspect of our life, from health and fitness, home automation, automotive and logistics, to smart cities and industrial IoT. Thus, it is only logical that IoT, connected devices, and automation would find its application in agriculture, and as such, tremendously improve nearly every facet of it. How could one still rely on horses and plows when self-driving cars and virtual reality are no longer a sci-fi fantasy but an everyday occurrence? Farming has seen a number of technological transformations in the last decades, becoming more industrialized and technology-driven. By using various smart agriculture gadgets, farmers have gained better control over the process of raising livestock and growing crops, making it more predictable and improving its efficiency. In this article, we will explore the IoT use cases in agriculture and examine their benefits. So, if you are considering investing into smart farming, or are planning to build an IoT solution for agriculture, dive right in. There are many ways to refer to modern agriculture. For example, AgriTech refers to the application of technology in agriculture in general. Smart agriculture, on the other hand, is mostly used to denote the application of IoT solutions in agriculture. The same applies to the smart farming definition. 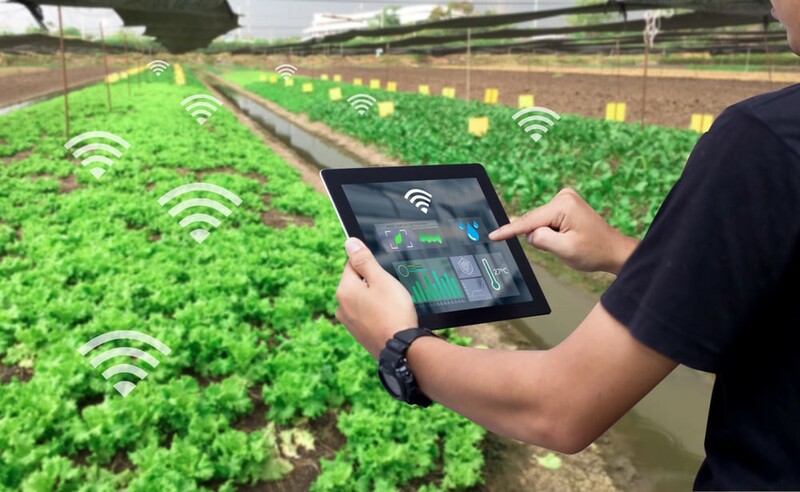 Although smart agriculture IoT, as well as industrial IoT in general, aren’t as popular as consumer connected devices; yet the market is still very dynamic. The adoption of IoT solutions for agriculture is constantly growing. Namely, BI Intelligence predicts that the number of agriculture IoT device installations will hit 75 million by 2020, growing 20% annually. 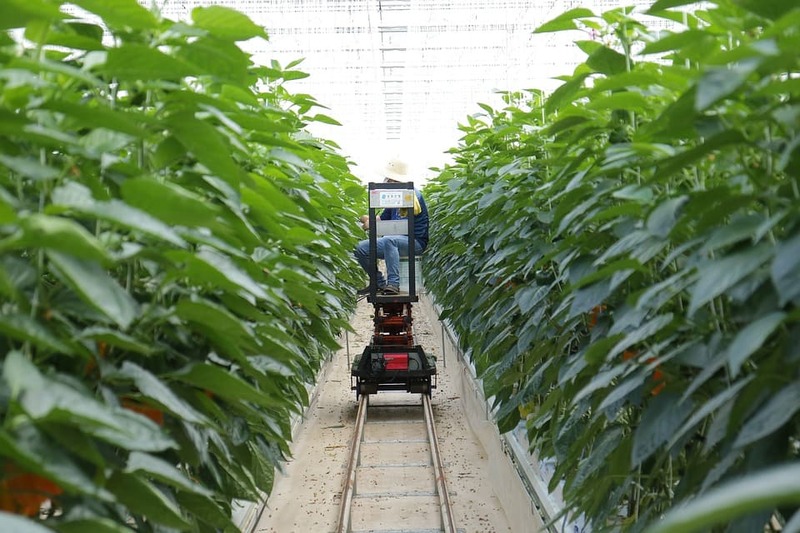 At the same time, the global smart agriculture market size is expected to triple by 2025, reaching $15.3 billion (compared to being slightly over $5 billion back in 2016). Because the market is still developing, there is still ample opportunity for businesses willing to join in. 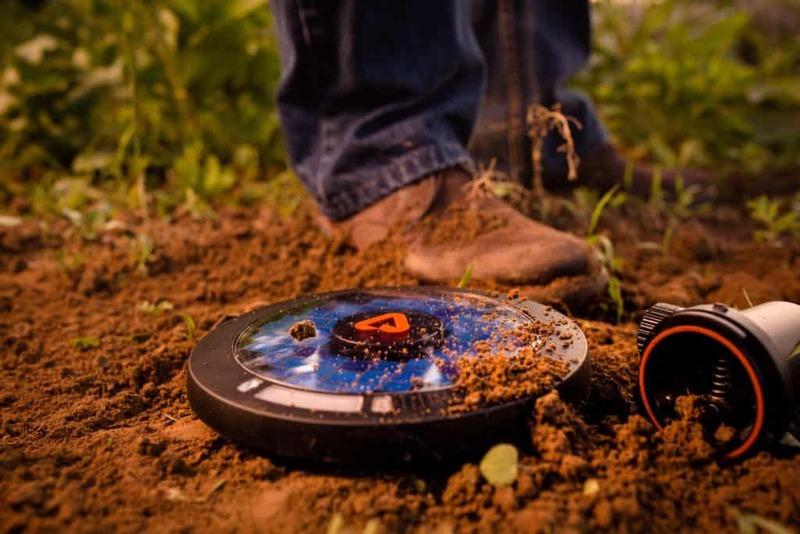 Building IoT products for agriculture within the coming years can set you apart as an early adopter, and as such, help you pave the way to success. But why should you consider building an IoT application for agriculture in the first place? Data, tons of data, collected by smart agriculture sensors, e.g. weather conditions, soil quality, crop’s growth progress or cattle’s health. This data can be used to track the state of your business in general as well as staff performance, equipment efficiency, etc. Better control over the internal processes and, as a result, lower production risks. The ability to foresee the output of your production allows you to plan for better product distribution. If you know exactly how much crops you are going to harvest, you can make sure your product won’t lie around unsold. As a result, all of these factors can eventually lead to higher revenue. Now that we have outlined how IoT can be advantageously applied in the sphere of agriculture, let’s take a look at how the listed benefits can find their application in real life. 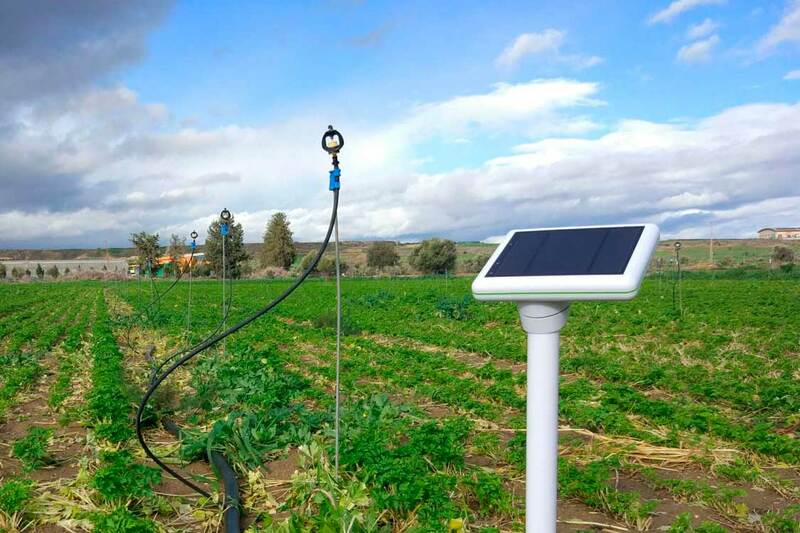 Probably the most popular smart agriculture gadgets are weather stations, combining various smart farming sensors. Located across the field, they collect various data from the environment and send it to the cloud. The provided measurements can be used to map the climate conditions, choose the appropriate crops, and take the required measures to improve their capacity (i.e. precision farming). 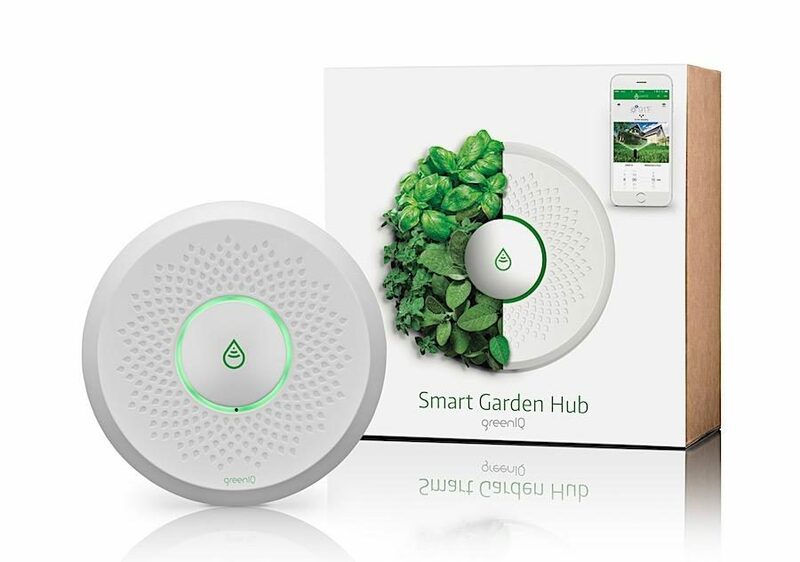 Some examples of such agriculture IoT devices are allMETEO, Smart Elements, and Pycno. In addition to sourcing environmental data, weather stations can automatically adjust the conditions to match the given parameters. Specifically, greenhouse automation systems use a similar principle. For instance, Farmapp and Growlink are also IoT agriculture products offering such capabilities among others. GreenIQ is also an interesting product that uses smart agriculture sensors. It is a smart sprinklers controller that allows you to manage your irrigation and lighting systems remotely. One more type of IoT product in agriculture and another element of precision farming are crop management devices. Just like weather stations, they should be placed in the field to collect data specific to crop farming; from temperature and precipitation to leaf water potential and overall crop health. Thus, you can monitor your crop growth and any anomalies to effectively prevent any diseases or infestations that can harm your yield. Arable and Semios can serve as good representations of how this use case can be applied in real life. 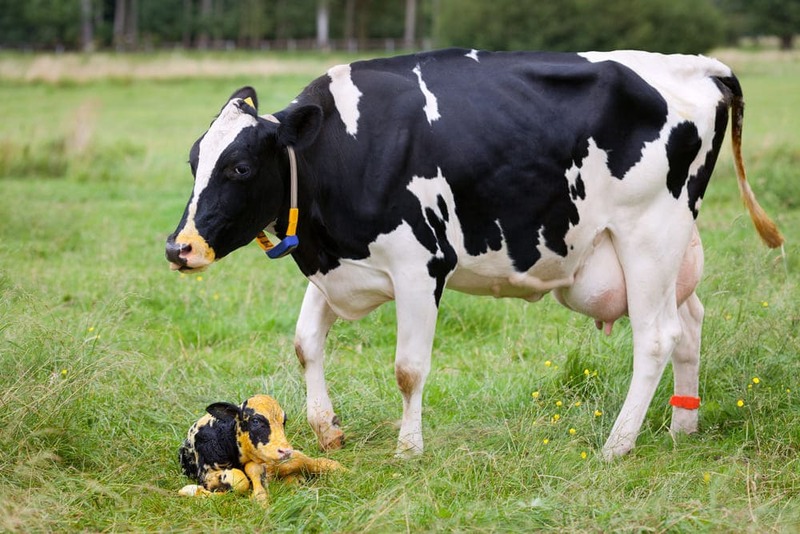 Just like crop monitoring, there are IoT agriculture sensors that can be attached to the animals on a farm to monitor their health and log performance. This works similarly to IoT devices for petcare. For example, SCR by Allflex and Cowlar use smart agriculture sensors (collar tags) to deliver temperature, health, activity, and nutrition insights on each individual cow as well as collective information about the herd. A more complex approach to IoT products in agriculture can be represented by the so-called farm productivity management systems. They usually include a number of agriculture IoT devices and sensors, installed on the premises as well as a powerful dashboard with analytical capabilities and in-built accounting/reporting features. This offers remote farm monitoring capabilities and allows you to streamline most of the business operations. 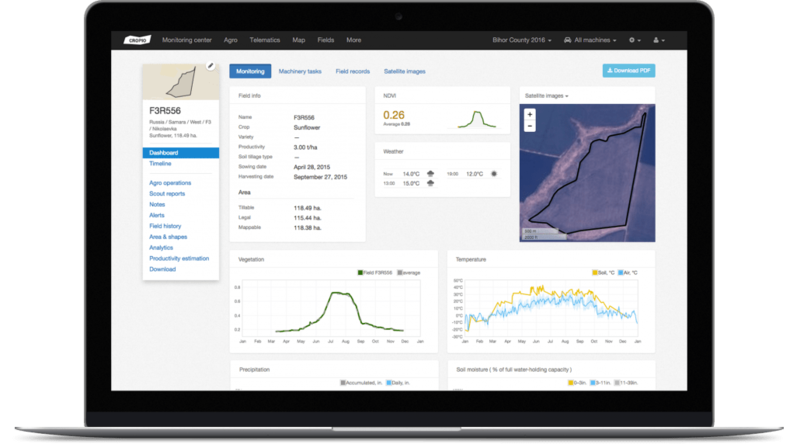 Similar solutions are represented by FarmLogs and Cropio. 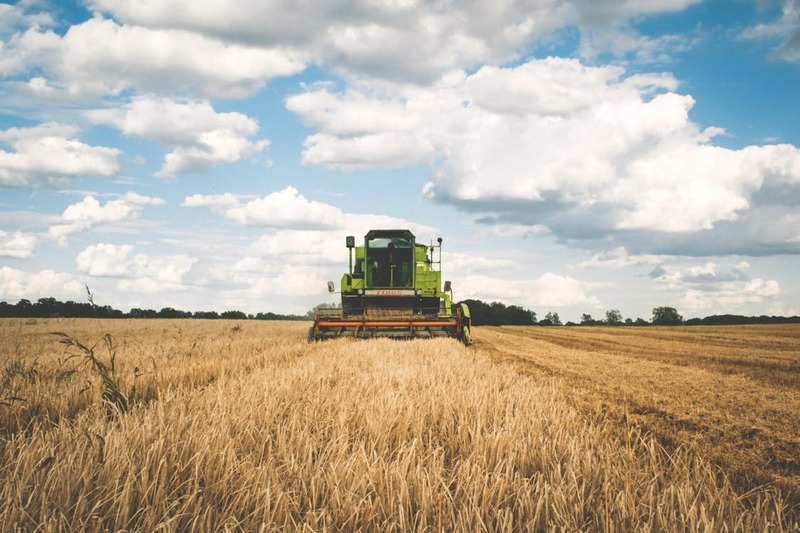 In addition to the listed IoT agriculture use cases, some prominent opportunities include vehicle tracking (or even automation), storage management, logistics, etc. As we can see, the use cases for IoT in agriculture are endless. There are many ways smart devices can help you increase your farm’s performance and revenue. However, agriculture IoT apps development is no easy task. There are certain challenges you need to be aware of if you are considering investing into smart farming. To build an IoT solution for agriculture, you need to choose the sensors for your device (or create a custom one). Your choice will depend on the types of information you want to collect and the purpose of your solution in general. In any case, the quality of your sensors is crucial to the success of your product: it will depend on the accuracy of the collected data and its reliability. Data analytics should be at the core of every smart agriculture solution. The collected data itself will be of little help if you cannot make sense of it. Thus, you need to have powerful data analytics capabilities and apply predictive algorithms and machine learning in order to obtain actionable insights based on the collected data. Maintenance of your hardware is a challenge that is of primary importance for IoT products in agriculture, as the sensors are typically used in the field and can be easily damaged. Thus, you need to make sure your hardware is durable and easy to maintain. Otherwise you will need to replace your sensors more often than you would like. Smart farming applications should be tailored for use in the field. A business owner or farm manager should be able to access the information on site or remotely via a smartphone or desktop computer. Plus, each connected device should be autonomous and have enough wireless range to communicate with the other devices and send data to the central server. To ensure that your smart farming application performs well (and to make sure it can handle the data load), you need a solid internal infrastructure. Furthermore, your internal systems have to be secure. Failing to properly secure your system only increases the likeliness of someone breaking into it, stealing your data or even taking control of your autonomous tractors. According to the UN Food and Agriculture Organization (FAO), the global population is expected to surpass 9 billion people by 2050. To produce enough food for the given population, agriculture production volumes have to increase by 50%. As the resources for agricultural operations are limited (most of the lands suitable for farming are already in use), the only way to increase volume is to improve production efficiency. There is no doubt as to the extent with which smart farming can help tackle this challenge; in fact, it seems that it is not possible without it. We at Eastern Peak have already helped many startups and Fortune 500 companies digitize and streamline their operations with the help of technologies. We provide end-to-end services building IoT solutions across a number of business domains, from hardware design to software development, testing, and integration. To receive professional consultation from our experts, get in touch with us via email or request a quote using our contact form.